Mukti is a specialist in facilitating connection. 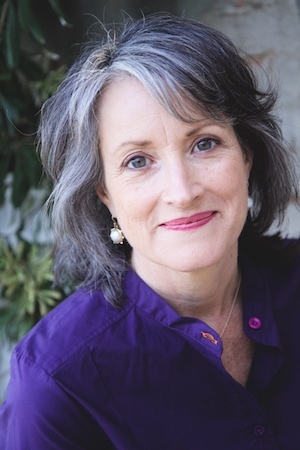 She has a broad background in senior roles within corporate and family business and specialist training in assisting couples to heal and deepen their relationship – all of which are interwoven with her sharing of Nonviolent Communication. She trained extensively with the founder of CNVC Dr. Marshall Rosenberg, both locally and internationally in Switzerland, the U.S. and New Zealand where she co-trained with him. Mukti is one of the first four trainers to be certified in Australia by CNVC in 2004. She is nationally accredited with NMAS, the Australian Mediator’s Scheme and The Resolution Institute. Mukti is also fully trained and receives supervision in Emotionally Focused Couple Therapy. She provides online courses based on NVC, NVC mediation, relationship education, coaching and support. She is known for her unique blend of NVC and Emotionally Focused Couple Therapy. Her areas of interest include blended families, family business relationships and adult love relationships – any gender, any stage of life. Mukti was one of the founders of the comprehensive 8 month Embodying NVC Consciousness retreat and coaching programme. As a skilful facilitator and inspiring speaker Mukti contributes at conferences and seminars. Including NSW Federation of Co-operatives, Kumon Franchise Association, Aussie Pooch Mobile Dog Washing, Ngaanyatjarra Council. I have to admit that I was sceptical at first, having had relationshipâ€¨ help in the past, I had basically lost hope in us, but with Mukti’s â€¨insightful and practical help my wife and I have returned from the brink and â€¨are well on the way to a sharing our life together in happiness and Love. â€¨â€¨I can’t speak highly enough of Mukti’s skills and would highly recommendâ€¨ her. For further information please either visit www.everydaylove.com.au or you are welcome to call Mukti directly – 0438 364 636.